Mountain View Cemetery holds much history. Even the stones reveal long forgotten stories. However, the first cemetery was begun in 1877, when John Ritchey was killed by 2 or 3 renegade Indians. George Truax founded the present site, then deeded it to the Masonic Lodge about 1882. There were maybe a half dozen graves relocated into the new cemetery from the old site across the border of Idaho. In the early years, a fire burned through part of the cemetery, burning all the old wooden markers. There are no records of the graves in this old area so it is left to posterity and folklore. 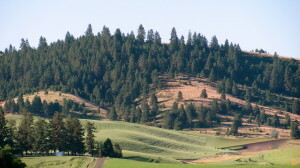 Genealogy questions and information about the purchase of plots may be directed to: Jerry Wagner 509-287-2343.